Yale Club of London - Book Talk: Benedikt Koehler ('76) on "Early Islam and the Birth of Capitalism"
Book Talk: Benedikt Koehler ('76) on "Early Islam and the Birth of Capitalism"
Benedikt Koehler ('76) discusses "Early Islam and the Birth of Capitalism"
Benedikt Koehler, '76, is giving a book talk on Early Islam and the Birth of Capitalism on 13 January 2015. 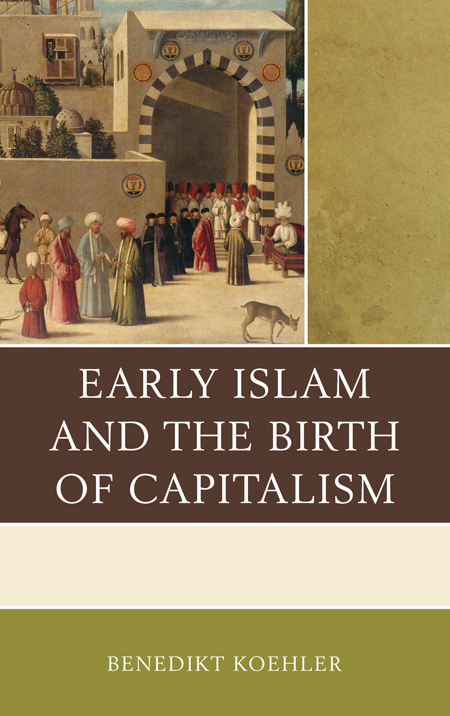 Benedikt argues Muhammad and his early successors created the world's first real pro-market society, and capitalism came to Europe when merchants from Italy imported business practices from Islam. The venue is the Institute of Economic Affairs, a free market think tank in SW1. Please RSVP via e-mail (reception@iea.org.uk) or call 020 7799 8900. This event is hosted by the IEA.